19 A None No Power Seat 19 A is in the last row of the aircraft. The proximity to the galleys may be bothersome. 19 B None No Power Seat 19 B is in the last row of the aircraft. The proximity to the galleys may be bothersome. 19 C None No Power Seat 19 C is in the last row of the aircraft. The proximity to the galleys may be bothersome. 19 D None No Power Seat 19 D is in the last row of the aircraft. The proximity to the galleys may be bothersome. 2 C None No Power Seat 2 C has extra legroom. This Bombardier Q400 is relatively fast, quiet, and offers a couple more inches of legroom than found on most other planes of this type. However none of the seats on this aircraft recline. Agreed its the row closest to the galley, however I have never found this to be an issue (apart from being the last person to get a cup of tea). What I like about the last row is it's quiet, as it's furthest row from the engines and there is no-one sitting behind you to kick the back of the seat. I found the window seats to be a bit awkward due to the curvature of the plane. I could barely put both feet on the ground and sit up straight. Short flight made it bearable. I was expecting it to be a lot louder than it was. 14C was under the wing which was kind of cool, something different, and so you could watch the landing gear retract/deploy. I personally would not like to sit in seats 8-11 due to the vicinity to the propeller - I would find it unnerving. Seat 19A is a normal seat on this aircraft and there is plenty of leg room. As the on board service is pre-packaged boxes comprising a sandwich, apple and a small chocolate dessert there is no galley noise. The noise of the aircraft means you don't have galley noise here. This seat is perfectly fine. 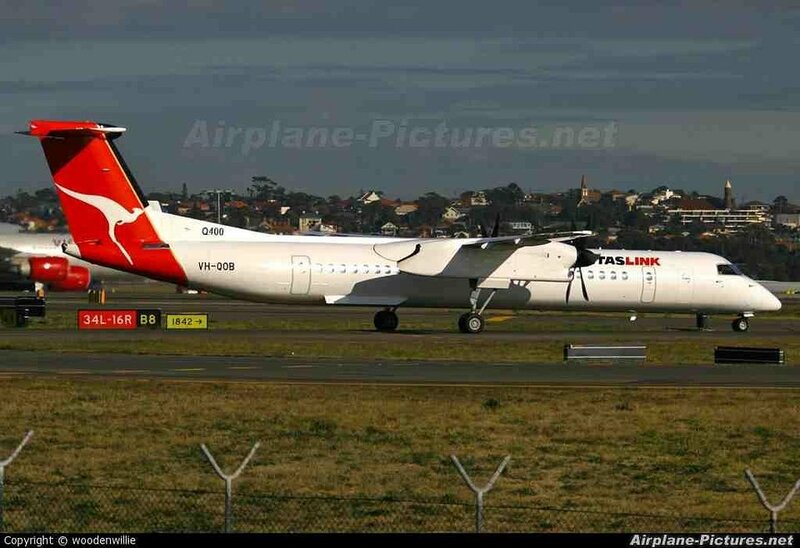 Exit row seats on the QantasLink Dash 8 Q400 are 2C and 2D. The window is not next to you, it is a fair way forward so you need to lean forward to see out. The view is easier to see from 2C as the angle is less. Also, the bulkhead is fairly close so even a short person (I am 5'7") is unable to stretch out the legs fully. The other seats further back have plenty of room, so I suggest taking one of those. Adjacent to a propeller so very loud. Headphones definitely recommended. Very good service and a decent view. Nice view of the propeller. Flight was good but seat is rather cramped for a larger person and the seat base was very uncomfortable, probably as it was becoming worn and the padding had compressed. It felt like sitting on a piece of board. Luckily the flight was only an hour. Window seat is always good on smaller planes for leaning against for more room, and no matter which row you'll always see below. 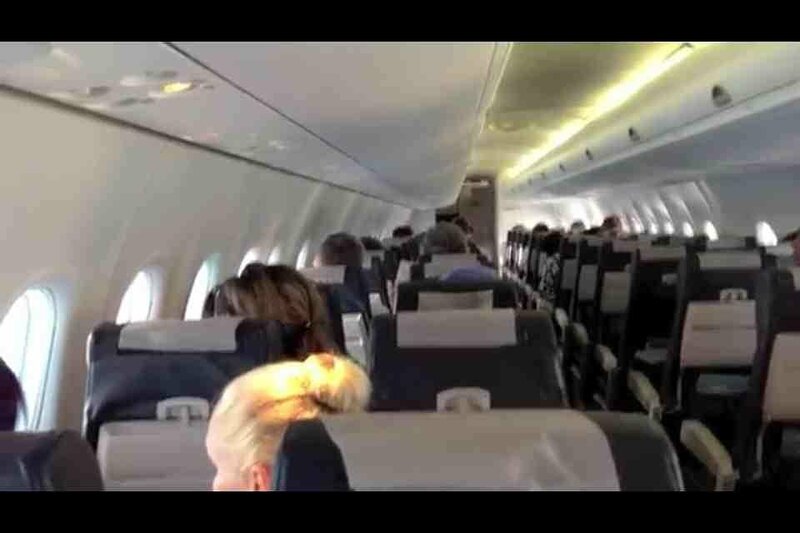 Prefer the back rows as less aisle traffic when embarking and disembarking. Bonus when the seat beside you is vacant. Good seat for this size of plane. A bit narrow but only a short flight. 7D is level with the propeller so not for the feint-hearted. Offered a small water and a muffin. Surprisingly quiet for a turboprop but I think this is to do with noise-cancelling systems in the 'Q' series aircraft. Somtines quite turblent but that is inly because it is a turboprop. Rows 8-11 might get annoyed because of the propellars beside, due to the wings above. 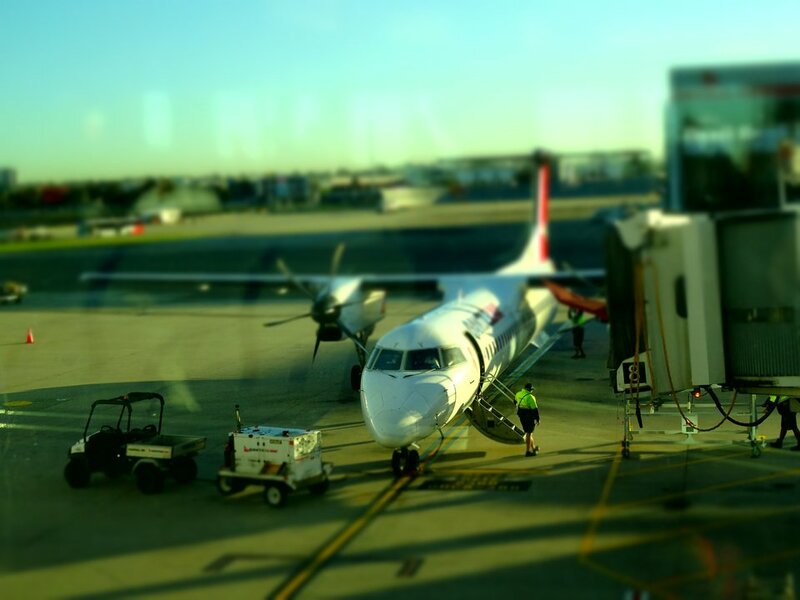 Qantas flies 1 versions of Bombardier Q400.